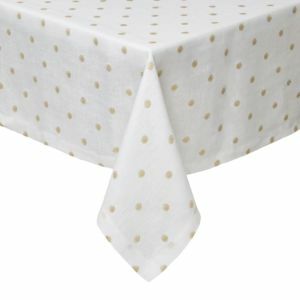 Casual European style table linens for daily dining and gracious entertaining. Set of four napkins in floral pattern. Polyester/linen/viscose. Hand-sewn fringes. Suitable for indoors and outdoors. Phthalate-free vinyl A beautiful blend of linen and cotton, the Napa napkins are finished with colorful hems and matching bows to brighten any table setting. Specially coated to prevent wine or other liquids from staining. Positano print tablecloth. Made of linen. Specially coated to prevent wine and other liquid stains. Santorini print table linens. Made of linen. Specially coated to prevent wine and other liquid stains. 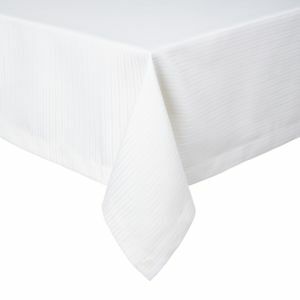 Mode Living Vail Tablecloth, 70" x 162"
Mode Living Vail Tablecloth, 70" x 90"
Mode Living Vail Tablecloth, 70" x 144" Mode Living Monaco Tablecloth, 70"Dia. 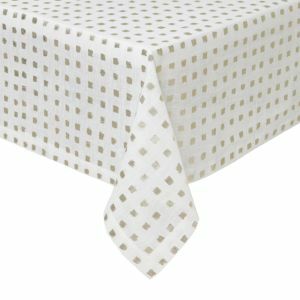 Mode Living Monaco Tablecloth, 70" x 144"
Mode Living Monaco Tablecloth, 70" x 108"
Mode Living Monaco Tablecloth, 70" x 90"
Solid tablecloth with petite metallic foil line print. Cotton/polyester. Machine wash. Solid tablecloth with metallic foil print details. Polyester/linen. Machine wash. Tablecloth with allover metallic pattern. Cotton/polyester. Machine wash. Subtle metallic dots add a festive dash to everyday dining, by Mode Living. A special coating protects the surface from spills and stains. Soft metallic lines stretch across these modern table linens by Mode Living. A special coating protects the surface from spills and stains. Make any gathering a special one with Mode Living's Tokyo collection. A special coating protects the surface from spills and stains. Hand-sewn fringes. Suitable for indoors and outdoors. Phthalate-free vinyl Sophisticated with a touch of shimmer, Mode Living's Tribeca collection is perfect for everyday dining. A special coating protects the surface from spills and stains. A modern woven design adorns this Mode Living tablecloth, perfect for every day or as the backdrop for a sophisticated dinner party table. 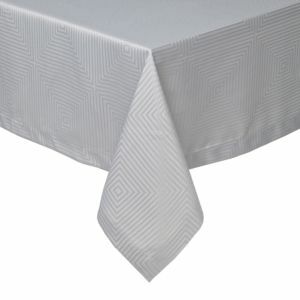 Handcrafted table linens. Linen and hand-sewn lace. Specially coated to prevent wine and other liquid stains. Classic table linens in a subtle woven jacquard perfect for everyday dining, by Mode Living. A special coating protects the surface from spills and stains. 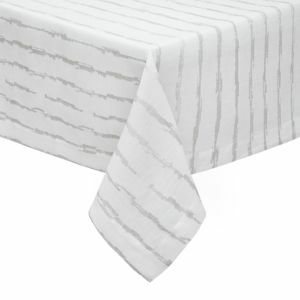 Crafted in luxurious, subtly textured linen, these sophisticated table linens by Mode Living feature a sheer striped center panel with a solid border. A special coating protects the surface from spills and stains. Plaid napkin in cotton. Fringe finish. 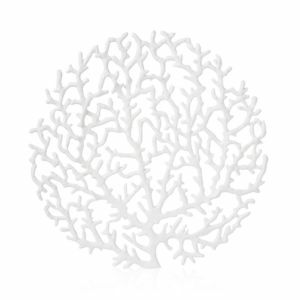 20"Sq. Intentionally rich in color whilst simultaneously soft, the rich stripes of this napkin, inspired by the Basque's countries rich textile heritage, will complement any table. 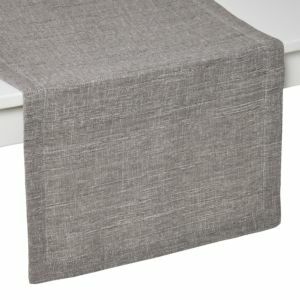 Linen napkin. Machine wash. 22"Sq. Placemat with appliqué border inspired by the formal gardens of Paris. Made of an open textile woven chiefly of sinamay. Inspired by the formal gardens of Paris, our Tuileries Garden placemat encircles your place setting with a delicate appliquéd border. 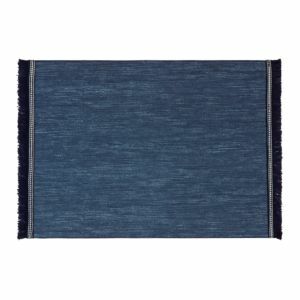 The soft and airy weave of our Natural mat is casual and fresh. Cotton napkin with fringe finish. Cotton napkin in floral pattern. Cotton napkin with fringe finish. Cotton Cotton napkin with eyelash fringe finish. Rustic yet refined, Juliska's scrolling placemat is crafted from natural cinamay reed with a metallic finish. Design features ethereal scrolls and an airy texture Siam napkin. Cotton/sateen. Solid border. Ideal for layering, exotic watercolors inspire wanderlust when gazing at this versatile plate, the perfect accent to any well laid table. Cotton napkin. 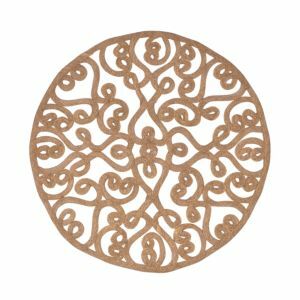 Design Imports round braided woven, indoor outdoor placemat, set of 6 are perfect for any occasion. 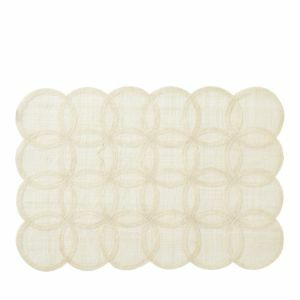 These beautifully woven placemats give a contemporary look to any tabletop. Our table runners provide a great place to set down platters to prevent spills and scratches on your tabletop. These can be used on more than just the dining room table, place on entryway, foyer, console or coffee table. Design Imports' ribbed placemats are a staple for every kitchen table, breakfast nook, and dinner table. 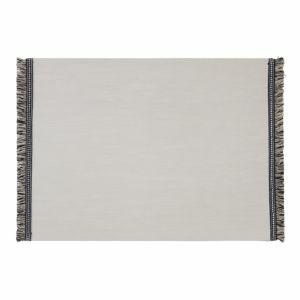 Made of 100% cotton, these placemats have been a favorite for years due to their basic simplicity and easy care. Aqua Seersucker Table cloth 60" X 104"
Aqua Seersucker Table Runner 14" X 108"
Aqua Seersucker Table cloth 60" X 84" Outdoor Table Runner 14" X 108"
Hemstitch Table Runner 14" X 108"
The traditional cotton seersucker is the perfect colorful addition to freshen your home! This table runner has that classic, textured pinstripe that reminds us of warm-weather parties. These table runners are perfect for picnics, parties, and more. Design Imports 100% polyester table runners are perfect for indoor or outdoor use. The waterproof and stain resistant polyester material makes for simple cleanup. Great for Bbq's, parties, summer gatherings, dinner with the family. These table runners are perfect for picnics, parties, showers, everyday use and more. 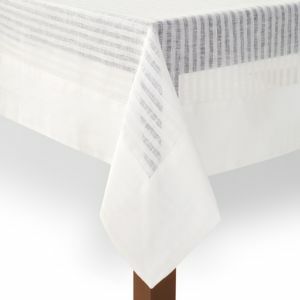 All of Design Imports' cotton table runners have a 1.5" folded hem and mitered corners. These table runners are machine washable for easy clean up and use. Touches of texture, varied types of stripes and soft shades create the fresh flair of the Martha Stewart Collection spring cotton table linen collection. Touches of texture, varied types of stripes and soft shades create the fresh flair of the Martha Stewart Collection spring cotton table linen collection. Touches of texture, varied types of stripes and soft shades create the fresh flair of the Martha Stewart Collection spring cotton table linen collection. Enhance your table settings with the fresh, spring-like charm of this set of four Easter Floral Napkins by Martha Stewart Collection. 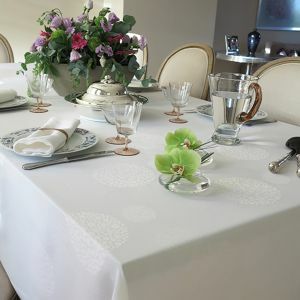 Each napkin features its own distinctive flower design embroidered on white cotton. A soft blue shade and contrasting white stitched trim in fresh cotton make the Martha Stewart Collection Chambray Table Linen collection a beautiful choice for casual or formal dining. Touches of texture, varied types of stripes and soft shades create the fresh flair of the Martha Stewart Collection spring cotton table linen collection. Bring a two-tone look to your table setting with the fresh cotton shades of the Blue Color Block placemat from Martha Stewart Collection. Refresh a dining or buffet table with the subtle two-tone look and neutral cotton shades of the White Color Block runner from Martha Stewart Collection. Bring a fresh, two-tone look to your table setting with the summery cotton shades of the Pink Color Block placemat from Martha Stewart Collection.